On 23 September 2015 South African Minister of Home Affairs Malusi Gigaba announced that citizens of Lesotho who were working, studying, or running a business in South Africa without proper papers would have the opportunity to regularise their status for up to four years (until April 2020). By JOHN AERNI-FLESSNER. Minister of Home Affairs Malusi Gigaba claimed that up to 400,000 Basotho might be affected by a programme which would allow the government of South Africa to better know, regulate, and, perhaps most important, tax those living within its boundaries. Basotho taking up the offer would get legal papers to allow for border crossing as well as legal protections on the job and in their daily lives. The regularisation, which includes an amnesty for having forged documents, is remarkably generous and runs counter to global sentiment towards migrants and migration. Whether the offer is one that Basotho will take up in large numbers is, however, an open question. Migrants, in many cases rightfully so, have deep suspicions of the motives of governments on both sides of the border, as well as worries about what their status will be when the special permit period ends. There have been delays in implementation, so the application process only opened on 1 March 2016. Issuing the permits has also been slow with only 117 “special permits” issued out of a paltry 5,460 Basotho applicants, as of 10 May 2016. This small number of applicants suggests widespread fear and worry about regularisation among Basotho, a reaction to the stiff R970 application fee and a general lack of information, especially for Basotho who lack regular access to the internet. There is also misinformation being put forth by those whose livelihoods are threatened by the regularisation – those who help Basotho illegally cross the border. Lerato, a Mosotho who has applied for a permit noted that the “thugs at the border” are making sure people are “subjected to bad information” because they “don’t want to see the process succeed” because of the threat to their source of income. Combating this barrage of misinformation is a promotional effort spearheaded by Minister Gigaba on social media, in the newspapers, and on the radio. The highest echelons of the Pretoria regime are seemingly invested in making this permitting process a success. Working against this, however, is deep mistrust in government officials on both sides of the border because of the long legacy of apartheid, recent recurring deportations of Basotho from South Africa, and mismanagement within the Lesotho government. The potential benefits for Basotho are immense. As applicant Lerato noted, this was a brilliant opportunity for her to “get a proper paying job with my proper documents”. Groups supporting the plan also suggest that successful implementation might reduce human trafficking in the region. These are all potentially welcome outcomes in a region where the need to reform border policy has been long recognised. Borders and border crossing are, of course, not just problematic in southern Africa. Across the globe, refugees and economic migrants are subjects of intense political dispute. South Africa is at the forefront of regional efforts to regularise rather than demonise migrants through this arrangement with Lesotho, a similar effort to legalising Zimbabweans who fled in large numbers to South Africa after the economic and political collapse of the country of the mid-2000s. The special permit process for Zimbabweans had mixed results, partially because many of the migrants hoped to eventually return to Zimbabwe when the political situation stabilised. The programme was relatively popular when it started in 2010, and the follow-on programme in 2014-15 saw almost 200,000 people regularise their status. Though estimates vary widely as to the number of Zimbabweans in South Africa, it is clear that many and perhaps even most did not participate. Ominously for Basotho considering taking up South Africa’s offer, deportations began again almost as soon as the programme ended, hindering people from trusting that special permits offered long-term solutions to their instability. While Zimbabweans historically came to South Africa in relatively large numbers, their migration paled in comparison to the central place that labour migration to South Africa has played in the lives of Basotho from Lesotho. The border is an ever-present feature of life for most Basotho, and crossing for shopping, visiting, and accessing health services is common. Border posts between Lesotho and South Africa accounted for 40% of the total arrivals into South Africa in recent years. During the apartheid era up to half of the gold and diamond miners (100,000+ in some years) came from Lesotho, and the culture of many urban townships in South Africa was dominated by significant numbers of Basotho migrants. In many ways, the culture of Lesotho is haunted by, but also built upon a history of migration. The remittances from migrants, legal and otherwise, also played and continue to play a crucial role in propping up the Lesotho economy, especially for those from the rural areas. The regularisation programme holds the potential to significantly alter the migration paradigm from Lesotho to South Africa, and tantalisingly suggests the potential for a new understanding of transnational belonging if it does succeed in bringing people out of the shadows. It offers, for the first time, the possibility of a legal status in both countries for transnational migrants. In a world where leaders are losing their jobs for not being strict enough with migrant arrivals, this is indeed a hopeful possibility – and the support from the highest echelons of the ANC government is a welcome development. The ultimate success or failure of the programme, however, will hinge on whether migrants come to believe that a special permit will improve their lives in the short and long term. Were this to come to pass, the programme could conceivably become a global model for how to integrate migrants. Or, in economic terms, it could mark a pathway to regularise a freer flow of labour across borders to match the (relatively) freer flows of capital and goods across borders that currently prevail in the SADC region. John Aerni-Flessner is an assistant professor of African History whose work focuses on 20th century Lesotho. He is based at the Residential College in the Arts and Humanities at Michigan State University (US). His writing has appeared in academic journals including The Journal of African History as well as in newspapers and the collective blog Africasacountry.com. He is writing a book on the history of development in Lesotho and can be found on Twitter @LesothoJohn. 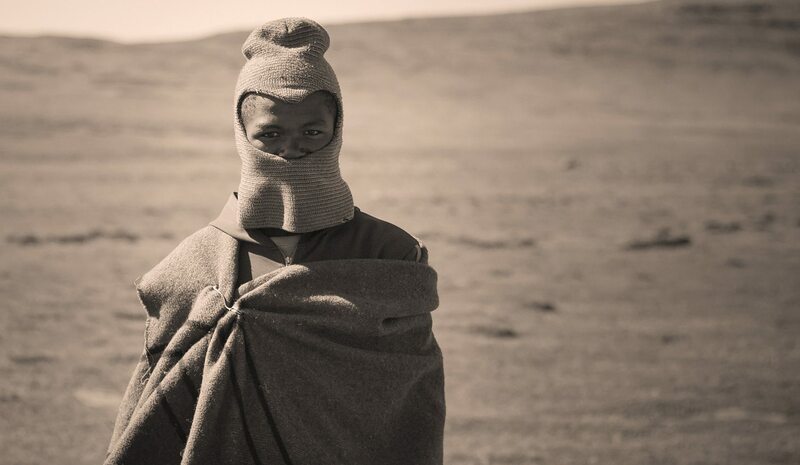 Photo of ‘Basetsana from Lesotho’ by Tobias Nawrath.